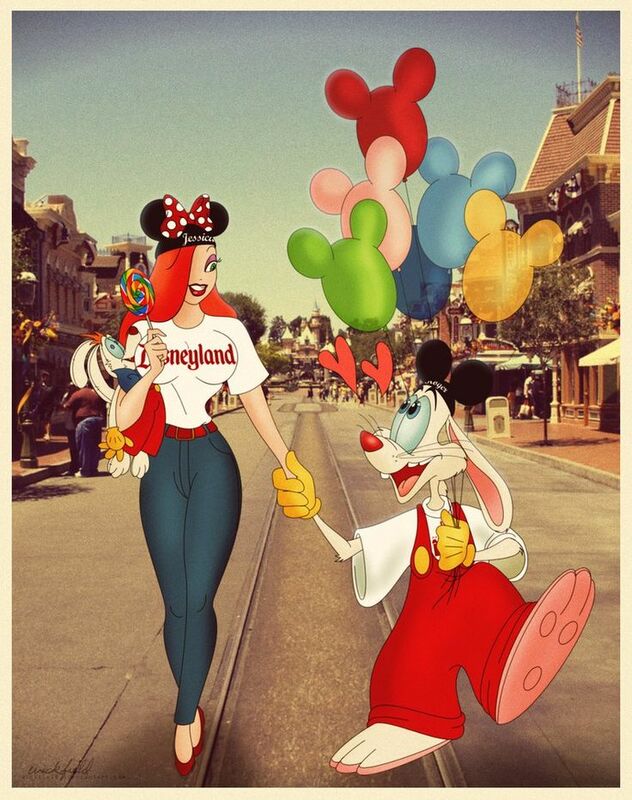 Who Framed Roger Rabbit was created in 1988 and still stands out today as a original piece of art and supreme talent. Back in ’88, the film was ahead of its time and set new standards with a unique set of ideas and innovative techniques that had not been explored in detail prior to this film. Robert Zemeckis’ film engaged viewers, and pushed boundaries and because of the painstaking, hand-crafted animation and effects they intelligently created, it remains a one of a kind movie experience even today. 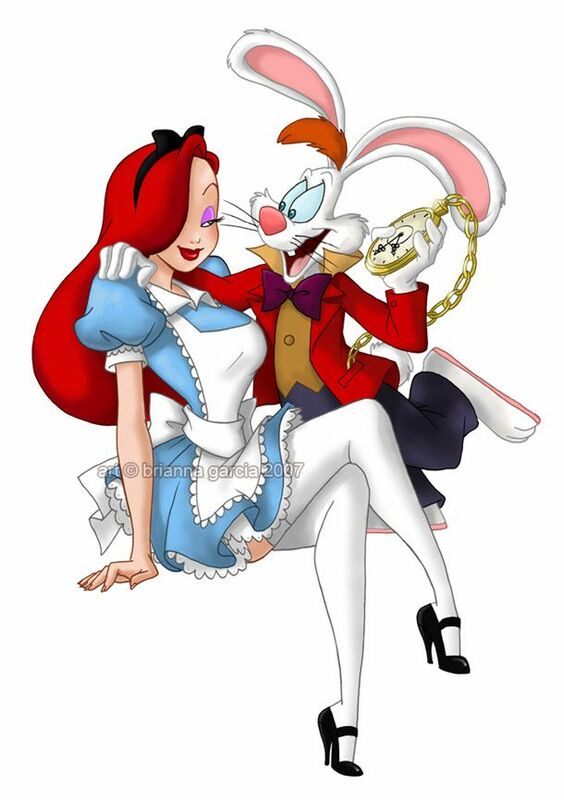 Who Framed Roger Rabbit was one of the most expensive of the era, with an estimated cost of $70 million. For this movie, animation director Richard Williams set out to break three rules that previously were conventions for combining live-action and animation. First, he had to move the camera as much as possible so the Toons would not look pasted on flat backgrounds; second, he used lighting and shadows to an extreme that was never before attempted; third, he had the Toons interact with real-world objects and people as much as possible. 326 animators worked full-time on the film! In total, 82,080 frames of animation were drawn and included storyboards and concept art. Animation director Richard Williams estimates that well over one million drawings were done for the movie. This movie marked the first time cartoon characters from both Walt Disney and Warner Brothers appeared together on screen. Since the movie was being made by Disney, Warner Brothers only allowed the use of their biggest Toon stars, Bugs Bunny and Daffy Duck, as long as they got an equal amount of screen time as Disney’s biggest stars, Mickey Mouse and Donald Duck. Because of this, both sets of characters are always together in frame when on the screen. 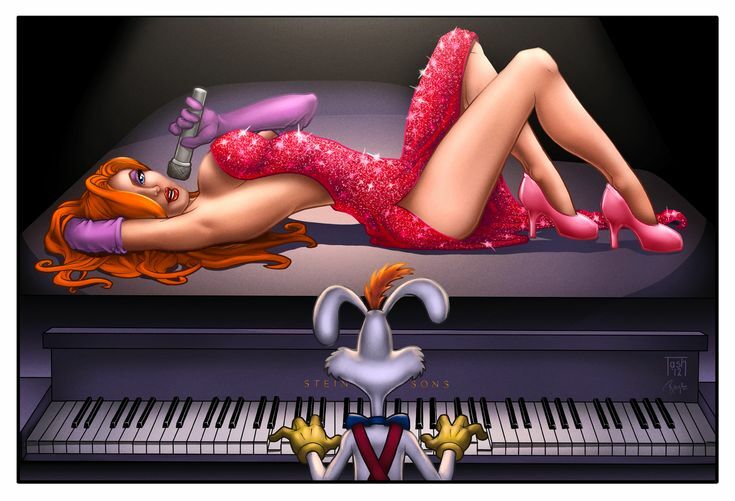 Robert Zemeckis also chose to create one of my favorite Disney characters to date, the show stopping Jessica Rabbit. 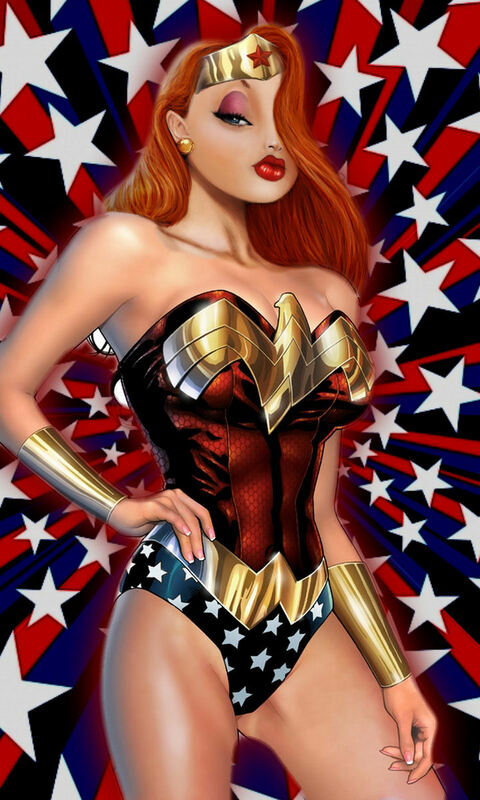 Many would agree that she is one of the hottest cartoon characters ever devised. 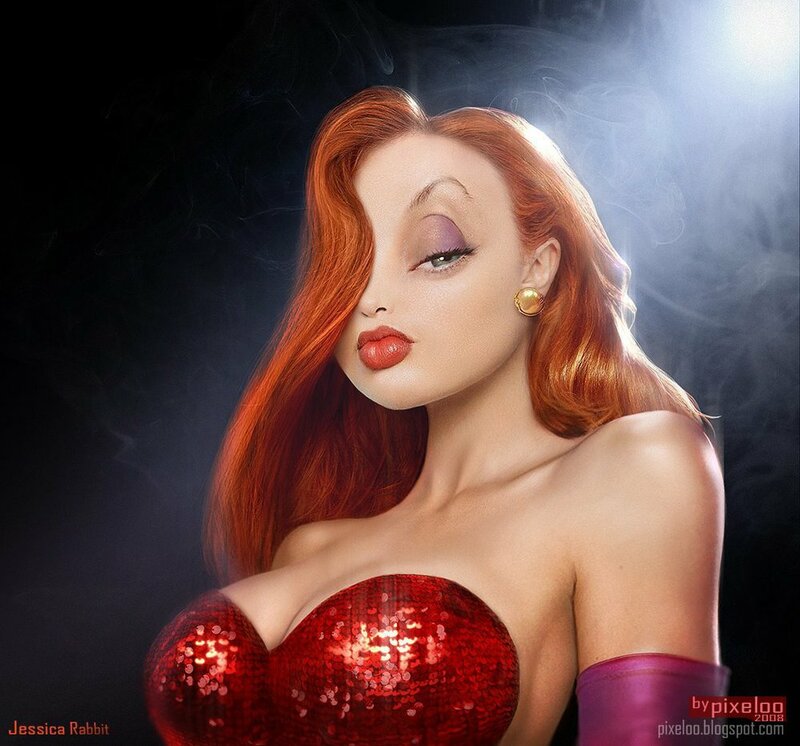 Bob Hoskins claimed that Jessica Rabbit was not yet sketched by the animators when filming wrapped and that he had no idea what the character would look like. Robert Zemeckis told Hoskins to imagine his ideal sexual fantasy. Hoskins claimed that his mental image was less risqué than what Jessica looked like in the completed film. 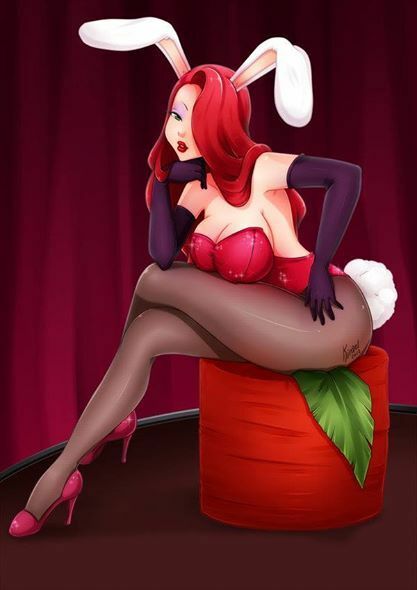 Jessica Rabbit’s speaking voice was played by actress Kathleen Turner, (pictured below). 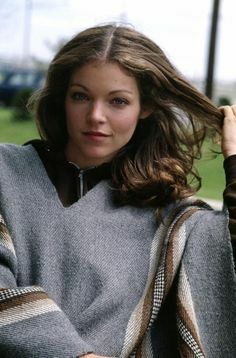 Her voice became such a staple of the character’s personality, that most people think the role was created around her face and body but it wasn’t. 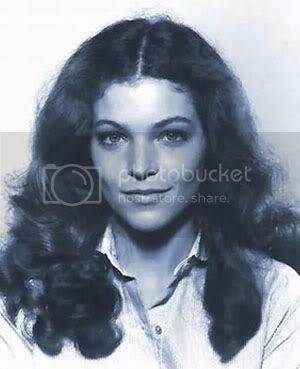 Jessica Rabbit’s singing voice was sung by horror actress Amy Irving, her images are below. 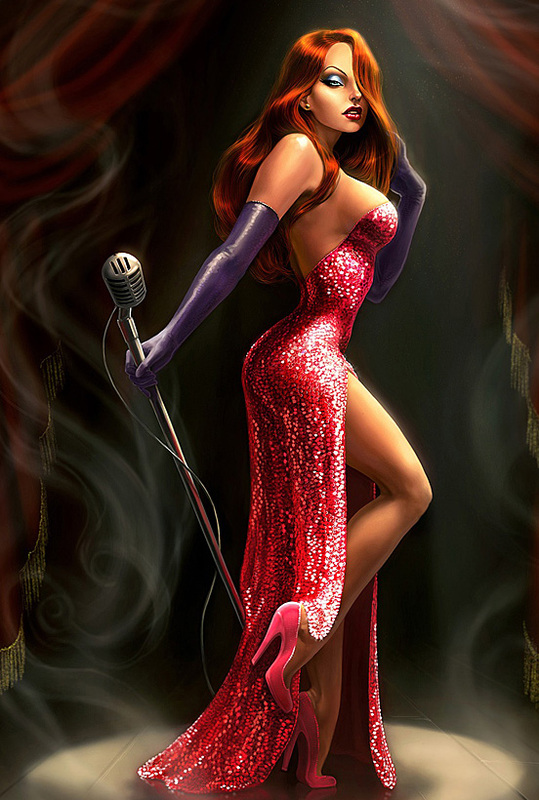 Jessica Rabbit’s image and likeness was actually based on four movie femme fatales. 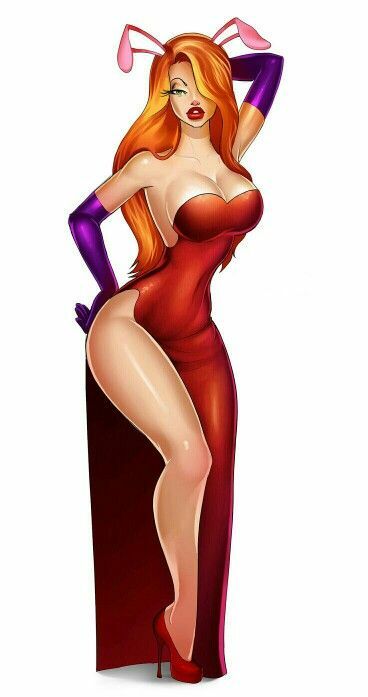 Writer Gary K. Wolf had based Jessica primarily on the cartoon character Red, Tex Avery‘s vixen from Red Hot Riding Hood (1943). (In fact, the musical number in Red Hot Riding Hood (1943) is duplicated by Jessica at the Ink and Paint Club.) 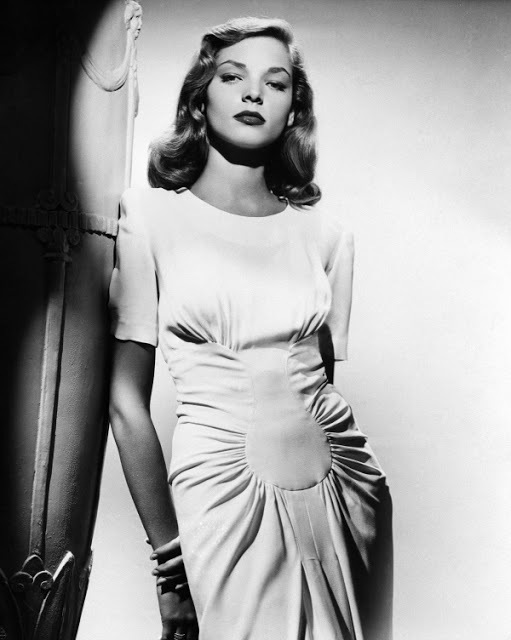 In addition, animation director Richard Williams said he based Jessica mostly on Rita Hayworth in Gilda (1946), Veronica Lake for the peek-a-boo bangs of her hair, and with the suggestion of Robert Zemeckis, “the look” trademark Lauren Bacall had and the va-va-voom of Marilyn Monroe. The movie’s line “I’m not bad. I’m just drawn that way.” was voted as the #83 of “The 100 Greatest Movie Lines”. Jessica is a tall, voluptuous woman with a curvy and slender hourglass figure with a narrow waist, buxom bosom and broad hips. She has fair skin and long, luxurious deep-red hair with sidebangs that cover her right eye. Her green eyes are heavy-lidded and seductive with long dark lashes and accented by shimmering purple eyeshadow. Her nose is fairly small, especially in relation to her full, red pouting lips. Her ensemble consists of a red sequined strapless dress with a low back, sweetheart neckline and high thigh slit. In addition, she wears matching red pumps, elegant purple opera gloves and gold stud earrings. In the film, she is reimagined as a sultry, but moral cartoon actress and singer at a Los Angeles supper club called the Ink and Paint Club. She proves to be brave, quick-witted and intuitive; she knowingly puts herself at risk to save Roger and Eddie. Yet despite the danger, she maintained a calm composure and exhibited great skill in combat, including handling a gun. In 2013, as part of the Disney Dreamers Everywhere special event at Disneyland Paris, Jessica made her first appearance as a walk-around character in any Disney park. 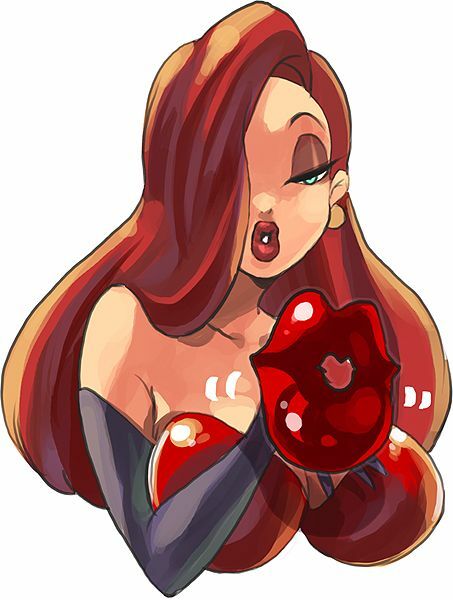 Jessica Rabbit’s production cels fetch anywhere from $500 for limited editions up to $6,000 for an actual cel from the movie itself. Statues fetch in the thousands, here is one on eBay now. That being said there have been many admirers and art loving fans of the character. 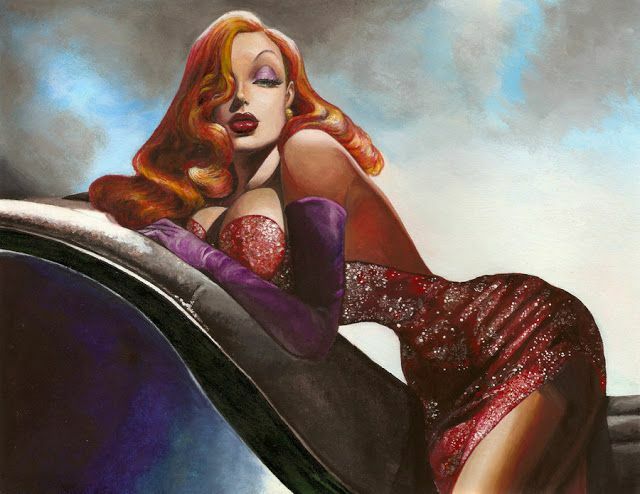 I have selected some of the best non-Disney recreations artists sketched, photographed, painted, sculpted of their artistic version of Jessica Rabbit below. Photography by Ryan Astamendi!!! www.ryanastamendi. It is said that the first test audience was comprised mostly of 18 &19-year-olds, who hated it. After nearly the entire audience walked out of the screening, Robert Zemeckis, who had final cut, said he wasn’t changing a thing. 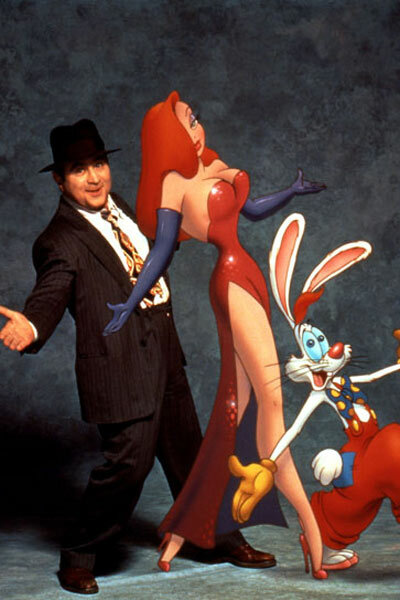 Cast: Bob Hoskins (Eddie Valiant), Charles Fleischer (voice of Roger Rabbit), Kathleen Turner (voice of Jessica Rabbit), Amy Irving (singing voice of Jessica Rabbit). 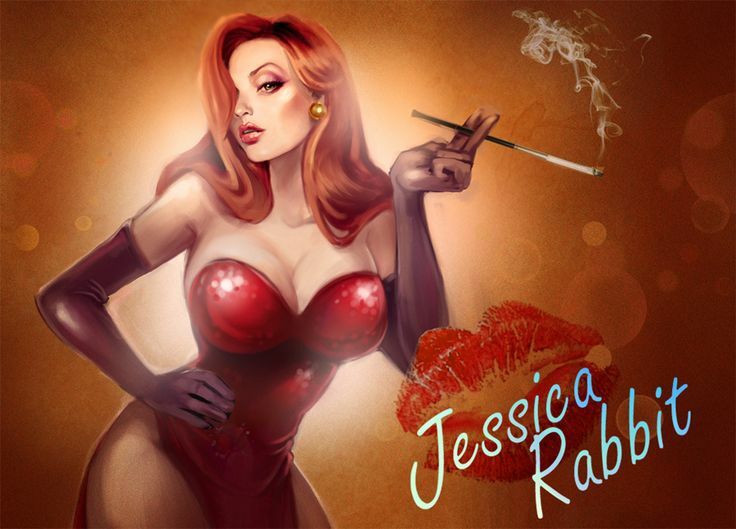 Which was your favorite Jessica Rabbit artistic recreation above? Let us know in the comments below for a chance to win an amazing prize!! Previous ArticleQANTAS TRIPLES THE SIZE OF ITS LAX LOUNGE. Next ArticleEVERYTHING YOU THOUGHT YOU KNEW ABOUT HANDBAGS IS WRONG.